The Heineken South Africa Foundation is partnering with the World Wildlife Fund For Nature (WWF-SA) South Africa to help informal and underserved communities better manage their freshwater resources. The foundation is providing a R1.2m grant to WWF-SA over the course of a year, which will be used to help fund a water conservation project in Ncotshane Township near Pongola in KwaZulu-Natal. Within this informal settlement, key community challenges include water leaks inside and outside property boundaries, spilling sewerage systems and alien invasive plants. 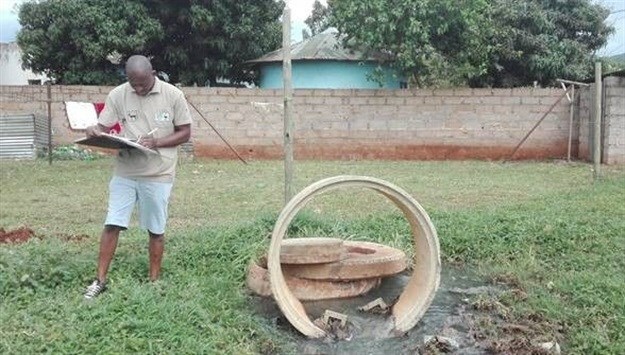 As part of the project, Pongola Enviro Champs who consist of community volunteers – mainly women and youths – are responsible for fixing household leaks, reporting sewerage spillages as well as illegal dump sites to the local municipality. Across the globe demand for water has doubled in the past 50 years. If society does not change the way it uses water, we could face a 40% supply gap by 2030. “Water is the ultimate shared resource. As one of the world’s biggest brewers, Heineken must use water wisely and ensure our suppliers and partners do the same,” says Gerrit van Loo, Managing Director of Heineken South Africa. Through Heineken’s sustainability agenda Brewing a Better World, the beer-making giant is reducing the water that is uses within its breweries and treating the water it discharges back into the environment. Amongst other benefits, this has resulted in a decrease in water consumption across its footprint of global breweries since 2008. In South Africa, Heineken has reduced its water usage by 18%. To more adequately address water and related environmental issues, many different solutions are required at every level and in both the private and public sectors, which is why Heineken South Africa also invests in water stewardship projects and conservation projects of this nature. “Beyond protecting water source areas, this project also allows us to provide skills development to job seekers and by so doing, help improve people’s lives,” says Millicent Maroga, Heineken South Africa’s Corporate Affairs Director. Amongst other uses, the grant will enable WWF SA to upskill volunteers and provide them with a stipend. The Enviro Champs complete training around the environment, basic financial management, computer literacy, street theatre to raise awareness within local schools, door-to-door knowledge building and conservation awareness. “Through initiatives such as these, we are able to assist communities, especially those in water-stressed areas, to help conserve this most precious resource,” concludes Maroga.